Can Lincoln Pull Off Its ‘Steer The Script’ Superbowl Ad? Lincoln wants its customers to know that it’s a new car company, with new products and a new way of thinking. To demonstrate this philosophy, Lincoln will be attempting an entirely new concept to advertise at this year’s Super Bowl XLVII. Rather than fund a big-budget clip that entertains and amazes, Lincoln turned to its fans on Twitter (which, at the risk of sounding sarcastic, has to be something of a small population). These followers would Tweet road trip stories, to be sorted, condensed and turned into a script by comedian Jimmy Fallon. We’re road trip veterans ourselves, and we’ll let you in on a little secret: our best road trip stories aren’t exactly suitable for broadcast on network TV, and all the rest is really nothing more than filler. The individual stories used to compile the full ad may border on the amusing, but we’re being kind. A herd of llamas wandering on the road causes the alpacalypse, while a biker gang plays checkers with a family waiting for a herd of turtles to cross the road. A man accidentally drives onto the set of a science fiction movies, then proceeds to eat its catering. A driver picks up a hitchhiking German tourist. Maybe we’re missing something, but these sound like B-reel outtakes from our own road trip collection. 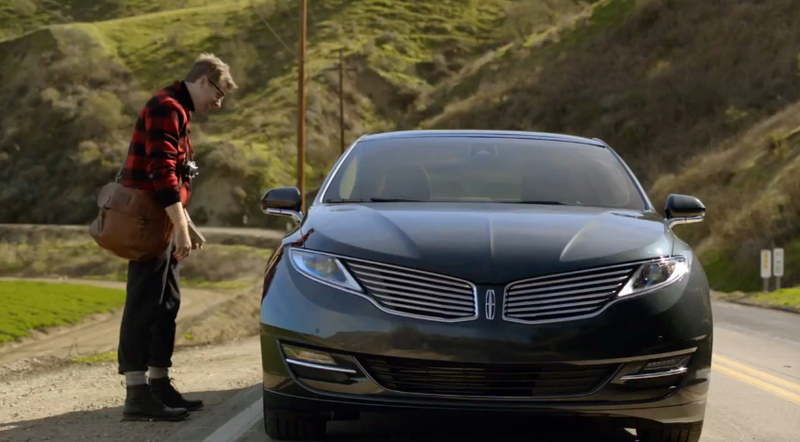 Even Lincoln knows it may swing and miss here, so it’s prepared a second Super Bowl campaign starring the MKZ sedan. In it, the MKZ rises from the flames of a burning Lincoln Town Car, much like the legendary Phoenix that’s reborn in fire. Frankly, we think Lincoln is reaching just a bit too far on this one. What’s your take? Is Lincoln edgy, or simply over-the-edge here?